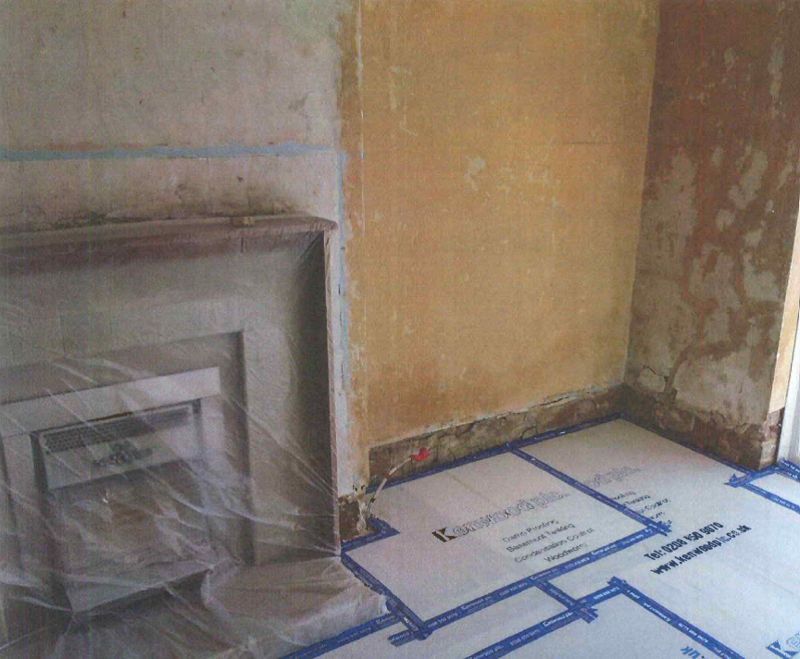 Following our clients concerns over dampness affecting their party wall Kenwoods were called to inspect. Our surveyor attended site and found evidence of rising damp affecting the wall. This was due to a defect in the original damp proof course, to rectify our highly skilled operatives have installed a new damp proof course. This is achieved by the removal of the wall plaster to expose the bare brickwork. Once expose holes are drilled into the mortar course and a chemical damp proof course is injected. Following the injection the walls are re-rendered and skim finished providing a smooth surface ready for redecoration once dry.